Adirondack Chairs are an awesome piece of furniture that can be a huge upgrade to any backyard or patio. These chairs are extremely comfortable and also have a great appearance to them. These chairs are not made like your average chair, in fact they are much different in many aspects. The popularity of adirondack chairs has been growing at quite a steady rate. When thinking about purchasing outdoor furniture it’s important to think about what style you are looking for. There are a ton of different styles of adirondack chairs available so it's important to know what you're looking for. 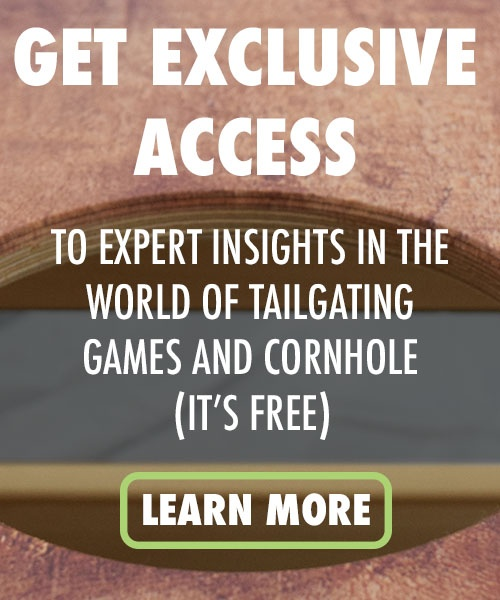 In this article we will talking about the what makes these chairs so popular, the best places for adirondack chairs, and a few of the different styles available to you. If you have been paying any attention to the outdoor furniture market, you might have noticed that adirondack chairs are extremely popular right now. Many homes throughout the United States can be seen with adirondack chairs in their front or back yard. There are many reasons for this including the unique design of these chairs, the durability, and the comfort that they provide. These chairs are designed much different than your average lawn chair. The armrests on a adirondack chair are much wider than most chairs and leave plenty of breathing room for your arms. The extra wide arms on these chairs allow you to place your food, drinks, and whatever else you want on them, much like a small table. Most chairs will have you feeling stiff and achy after sitting in them for a while. Adirondack chairs are built with a specific design that makes them extremely comfortable to sit in. The chair has such a wide base that it allows you to sit back comfortably and keep your back at a nice posture. You’re weight is evenly distributed between your legs and back, meaning you don’t put as much stress on your back like some chairs might. One of the best things about adirondack chairs is the aesthetic that they have. They have a very sleek and admirable design that allows them to look good no matter where they are placed. Many people like to place an adirondack chair or two on the front porches of their house. There are many colors and styles available to fit your porch. The backyard or patio is also a fantastic place to place your adirondack chairs. An adirondack patio set up like the one shown below can be a great upgrade to any patio. The comfort, weather durability, and design of these chairs will take your set up to a whole new level. Set up your chairs around the fire or create a nice dining area for your family and guests to enjoy. Having an adirondack chair or a few around the pool during the summertime can be an awesome addition. Everybody enjoys lounging around the pool in the sun and what better way to do it than with a comfortable adirondack chair! These are your traditional adirondack chairs that can be stained or left unfinished. If left unfinished you can allow them to weather on their own. When looking for a wood adirondack chair it is important to take into consideration what wood qualities you are looking for. There are many types of wood adirondack chairs available on the market for you to choose from. Pine and cedar are often great choices for your chair as they have a great natural look to them and are both natural insect repellents. Mahogany, oak, or teak can be great options for someone who is looking for a more durable and scratch resistant chair. Plastic adirondack chairs usually have a much more inexpensive price point on them when compared to a higher quality chair like a wooden adirondack. One of the nice things about the plastic is they often have an all weather capability to them. This gives you the freedom to leave your chairs outside without fretting about any potential precipitation. A custom adirondack chair can be an awesome addition to your house or gift. These custom adirondack chairs can have any artwork you want printed onto them. They often use a UV ink when being printed on, which means the sun won’t cause your artwork to fade with exposure! Owning a custom adirondack chair can help you create the setting you are looking for. Maybe you want your family’s name or picture printed to it, maybe you want individual initials on multiple chairs to represent members of your family. Whatever it is you’re looking for, these custom chairs allow you to bring your ideas to life! Check out this link to these custom adirondack chairs here! There are so many things that make an adirondack chair useful. These chairs are often considered one of the best pieces of outdoor furniture to own. Whether it is the extra wide armrests, the comfortable design of the chair, or the sleek appearance provided, there are a ton of things to love about these chairs. Understanding the different makes and materials that can be used in production of adirondack chairs can go a long way when deciding on making a purchase. Feel free to check out this article comparing plastic vs wood adirondack chairs. 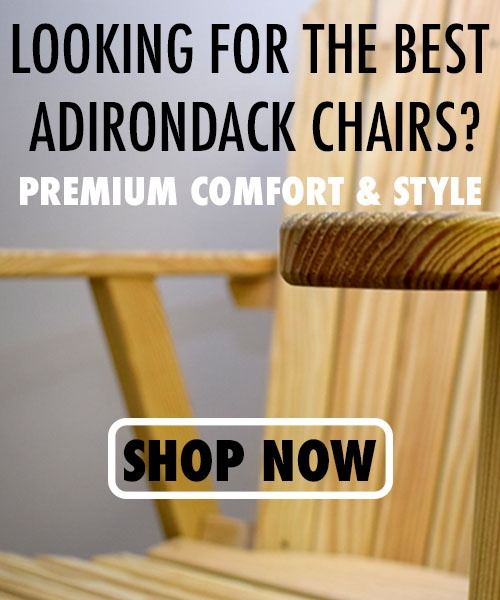 Using your newfound knowledge should allow you to consider what it is you’re looking for in an adirondack chair and how to go about choosing the right make you’ll need!